Watch The Trailer For Beyoncé's Netflix Documentary 'Homecoming' Homecoming is set for release on Netflix April 17, promising a close-up look at the often-guarded superstar in preparation for her momentous festival set. Beyoncé Knowles performs onstage during 2018 Coachella Valley Music And Arts Festival Weekend 1 at the Empire Polo Field on April 14, 2018 in Indio, California. Beyoncé's history-making performance at 2018's Coachella Valley Music and Arts Festival is the gift that keeps on giving. 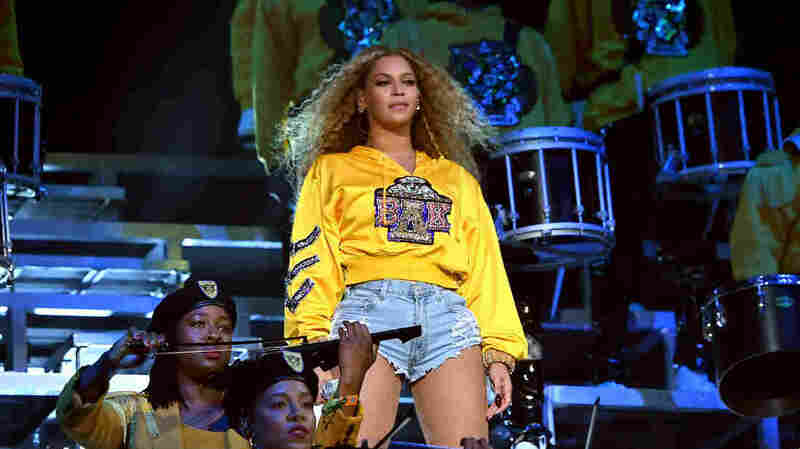 Homecoming — billed as "A Film By Beyoncé" — is Queen Bey's latest concert documentary, unveiling a close-up perspective at the often-guarded pop superstar in the midst of preparing for her headlining festival performance. Homecoming is set for release on Netflix April 17. Netflix has released an official trailer for the film after sharing a social media announcement Sunday morning that featured the word "homecoming." The snippet, on its own merits, is a grand spectacle to match. Behind-the-scenes footage of Beyoncé and her assemble of performers in the weeks, days and moments leading up to Beychella — including a snippet of Blue Ivy mimicking her mother's choreography — is all set to audio of a Maya Angelou interview. Toward the end, an interviewer asks Angelou, "What advice would you have to give to this generation?," to which Angelou responds, "Tell the truth, to yourself first, and to the children." Beyoncé's show-stopping performance marks plenty of milestones for the superstar. The 2018 performance was the first time a black woman headlined Coachella in the festival's history. It also served as her victory lap for the superstar after the birth of her twins, Rumi and Sir, which prompted the performer to cancel her Coachella appearance in 2017. It's also the first time a Coachella performance has ever been broadcast outside of the official Coachella YouTube stream.